Orson Welles/Shylock tells the unbelievable and mostly true story of Welles’ many attempts to play Shakespeare’s Shylock, and the haunting and heartbreaking ways his life overlapped with the iconic character just out of his reach. 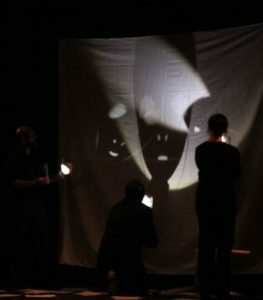 The Shylock Project is a theatre company formed in Syracuse, NY in 2014. 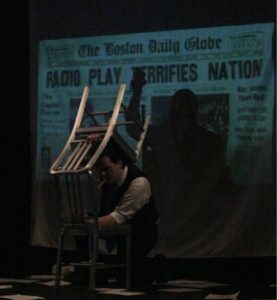 Created to perform ORSON WELLES/SHYLOCK at a month-long Merchant of Venice conference in Italy to celebrate the 500th anniversary of the founding of the Venetian Jewish Ghetto, the company has since then performed the play in New York at the Redhouse Arts Center and Le Moyne College, and in Maryland at the Columbia Festival of the Arts. 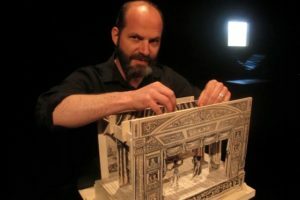 The Shylock Project has been featured in several articles on Wellesnet.com, the international Orson Welles web resource. 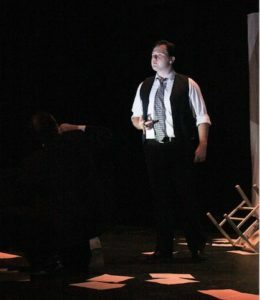 Keep up to date with all the company activities on their website at www.orsonwellesshylock.com or on Facebook at www.facebook.com/orsonwellesshylock.